This third map gives a better picture of how far Iraqi and Kurdish forces have advanced. It shows that while IS is in an advantageous position to fight an incoming attack, it has a much shakier position defending its supply lines. 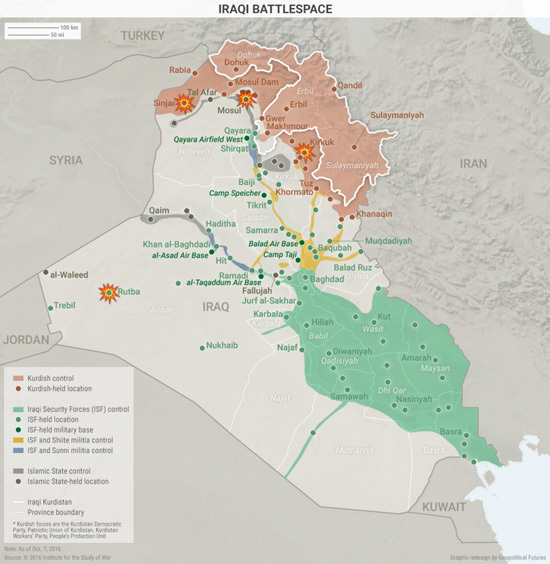 Though IS controls stretches of some of the major highways and roads, none of them lead to areas controlled by IS. Its only hope of resupply is through the vast swaths of desert to the southwest of the city. These supply lines are hard to interdict, but they also limit the amount of reinforcements IS can expect. This is one of the major reasons IS has thus far resorted to suicide bombs and booby-traps. We know IS has some major weaponry in Mosul, but it must conserve its ammunition. 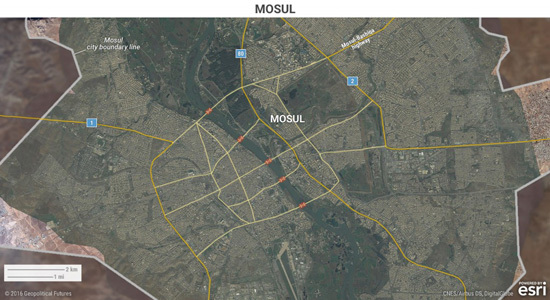 This map also reveals that Mosul is the intersection of a number of major highways and roads. The major highways passing through the city link Mosul to Syria, Baghdad, Turkey, and even Iran. Mosul is a strategically important city, unlike many of the other small villages and areas IS has retreated from in the last year. 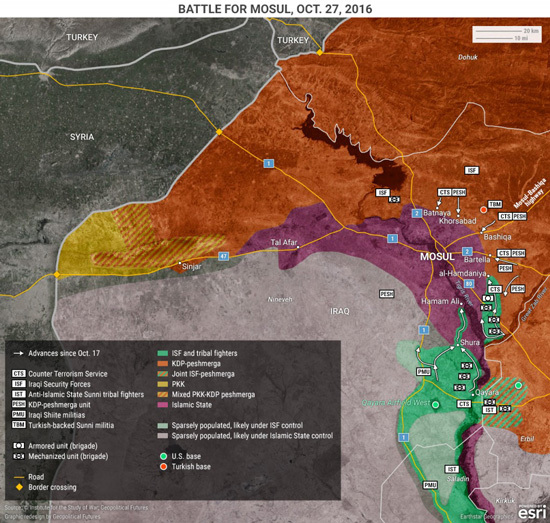 Our last two maps are not confined to Mosul but place the battle in a broader perspective. Mosul is an intersection not only between major highways in Iraq but also between cultures, religions, and even languages. As the map above shows, Mosul represents the meeting point between Iraq’s two largest minority groups, the Kurds and the Sunni Arabs. There are also significant pockets of Turkomans in the city and nearby as well. Mosul is majority Sunni, but it has historically been a diverse city. This is one of the reasons the city is so hard for any power to control. The Ottomans ruled Mosul once. And today, Turkey still feels a need to assert its interests there, maintaining unauthorized troops on the ground near Bashiqa. There was even a story last week about a Turkish official claiming that deeds of land ownership in Mosul from the Ottoman days might provide basis for future Turkish legal challenges in the city. The Sunnis, suspicious of the Shiite-dominated government in Baghdad, have not embraced the Iraqi state since Saddam Hussein’s regime was deposed. The Kurds have been opportunistically grabbing as much territory as they can amid all the chaos. Adding Mosul would be a major coup for them. The battle for Mosul will not end even if IS is successfully beaten. There are many different competing interests and groups for whom Mosul is a sought-after prize. 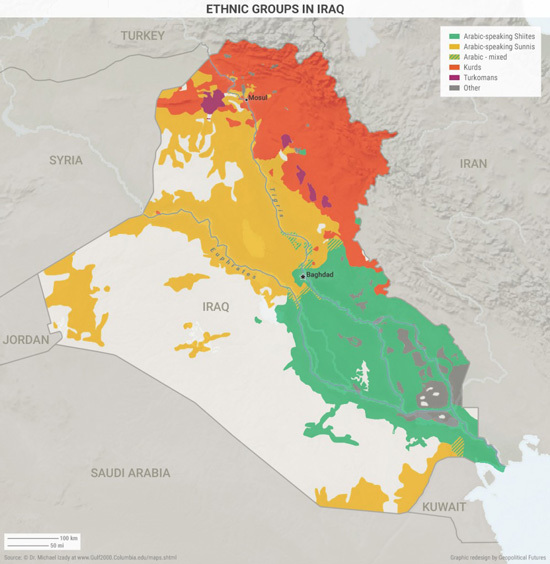 This last map amplifies the point made above, showing the various groups that control parts of Iraq. It also shows how IS has fallen back on one of its classic tactics—carrying out attacks in other places to try and distract its enemy. Thus far, there have been major IS attacks in Sinjar, Kirkuk, and Rutba. IS even briefly held half of the town of Rutba before retreating. None of these attacks have yet proved decisive enough to force the coalition to pull back resources from the fight for Mosul. But there are still areas in Iraq besides Mosul where IS can cause significant problems for the coalition, and we can expect such attacks in Iraq to increase as the battle for Mosul progresses. We also see that the sectarian issues that created the vacuum filled by IS have not gone away—they still define the Iraqi landscape today, and will continue to do so, no matter the result of the Iraqi forces’ advance on Mosul. To sum up: the battle for Mosul is going to take a long time. It is going to be a bloody affair and a textbook example of urban warfare once Iraqi forces actually reach the city. 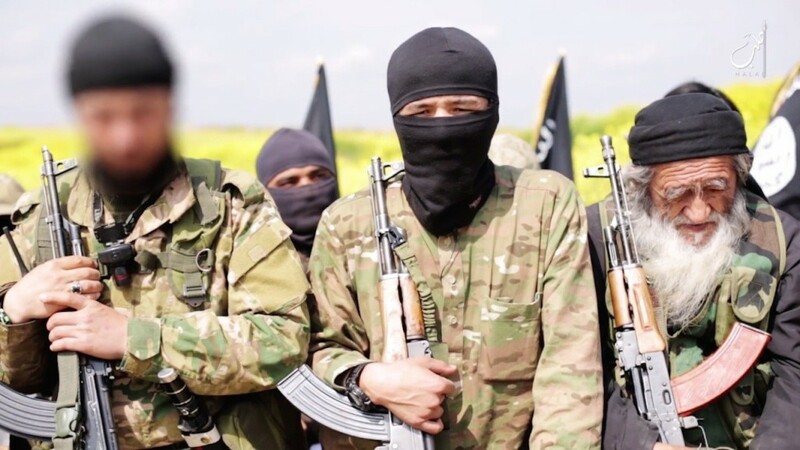 IS is at a severe disadvantage in terms of the number of fighters and material, but IS is in a highly defensible position and has no place to retreat. The sectarian issues that plague Iraq as a whole have been put aside in an attempt to drive IS out. But if the coalition is successful, these sectarian issues will reassert themselves. 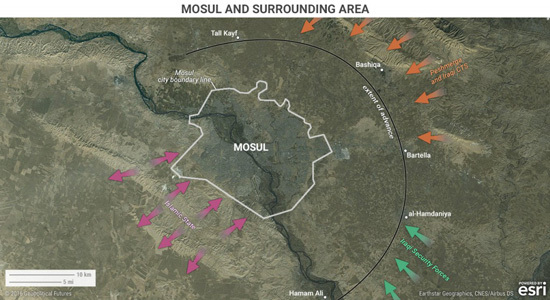 These maps are meant to illustrate how the battle of Mosul is progressing. They also drive home the point that Mosul is just one battle in a much larger war for which the outcome remains uncertain.